Asus has released details of the latest addition to their line of Eee PC netbooks, the Asus Eee PC 1000HE. The Asus Eee PC 1000HE comes with Intel’s N280 Atom processor, a 10 inch Backlit LED display, a 160GB hard drive, built in 802.11b/g/n WiFi and Bluetooth 2.0. There is also a built in webcam, and you also get 10GB of online storage, the most interesting part of the new Asus Eee PC 1000HE is the battery life, with up to 9.5 hours of battery time which is pretty impressive. 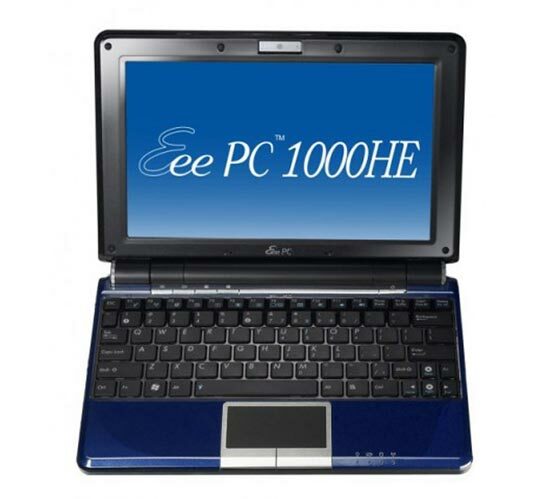 The Asus Eee PC 1000HE will go on sale shortly for around $399.